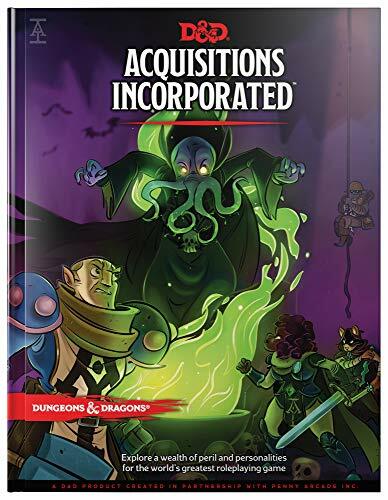 • Inside you'll find everything you need to live out your fantasy of climbing the corporate ladder of the most notorious retrieval agency in the Forgotten Realms—Acquisitions Incorporated. 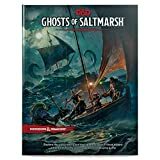 • The 224-page book will give Dungeon Masters and players plenty of bits to play a D&D fifth edition game just as if you were on stage with the crew at PAX! New backgrounds, character options, franchise information and more. • You'll also find an adventure that will take characters from levels 1 through 6, establishing your party's claim on a world they've just begun to explore—and to strip-mine for profit. Dungeons & Dragons is the world’s greatest roleplaying game. Created in 1974, D&D transformed gaming culture by blending traditional fantasy with miniatures and wargaming.